Thank you for admitting that there is a "drop" in population. Some people are still trying to deny that fact. A massive population drop 2 weeks after a server merge is not a good sign. It's a great sign when it comes from a host of cheaters. Like yeah, we probably lost some good players to a tough decision. However, at the end of the day, you are fighting an uphill battle with honey coated sandals on. All you can really link is steamcharts which is worse than a slight piece of evidence. We're in this a month after school year started, comparing to summer numbers, and I already told you in a previous thread that there is less than a 20% difference between now and a month or two ago based on steam charts, and more likely a less than 10% drop overall. Yes, we probably lost a lot of dedicated, paying players because they got accustomed to a certain lifestyle, but that's exactly the problem, they got accustomed to being able to do things a certain way, some of them even going out of their way to pay extra for special treatment with their ways, and threw a fit when they were no longer allowed. I assure you this does not affect the bottom line of players who IMS all day, which is a surprisingly large amount of players. How many of those CH players you think actually argue over proxy? At the end of the day, this whole argument is generally about the top performing 5-20% of players on TERA. If it affects mid tier and low tier players, I do not believe it is a large impact, if any at all. Lost "some" good players yea, how is 50-75% of the end-tier PVE "some" good players. Considering how many HH raids have cancelled due to this issue, as well as the number of AAHM runs that dropped due to the lack of players, your "some" seems to be a lot more than you think. Also, if you think that proxy with SP is cheating, think again. That statement alone is enough to deduce that you are not a player who runs 446+ dungeons, let alone 453 AAHM. Btw Steamcharts are not accurate because, I don't use Steam, so do plenty of others? The way you conveniently left out all the issues, bugs and glitches that Tera has just for your point of a "certain lifestyle" is so narcissistic and ignorant, sounds to me like you are a low-tier player, who gets carried by mid-high tier players all the time. Just a little knowledge on Tera for you, 50-75% of high tier runs is enough to kill a game, and IMS and BG queue are a lot longer. So where is you "5-20%" of players going off? Bruh I'm on my 3rd +9 set since RKEM and no I don't swipe. Like the other dude said, third party still working for a week. If HH is being canceled 2 weeks before it's even and issue that's their prerogative. My guilds HH raid is full, and mostly full in the second with alt fill. You call me narcissistic for playing the game the way it was for 4+ years before SP like I should start taking steroids or jump off a bridge because everyone else is doing it. Your argument is hilarious. "Doesn't run third party modules must not be relevant to the topic" as if you haven't had two large guild leaders in here, one being a player council member, recounting exactly what is wrong with the advantages that were brought to the "QoL" debate. Oh on my 5th +9 gear since RKEM and good for you, you have low ping that can remotely *gasps* play 446 dungeons without too much issues. Ever had a time where in RKE your FPS dips so hard during the RKE trigger? Ever had a time where your dodge or iframe glitches into hidden invisible boxes into the boss, causing you to teleport around the boss? Had a time where your movement skills teleport you back to where you came from? Congratulations! You finally figured out why proxy and 3rd party modules existed! And for the record, I have also been playing for over 5 years in Tera, and having played with both high and low ping in different servers, as well as delving into the technicalities of the netcode implementation, with a bout of me literally dissassembling the entire program and understanding their implementation from the machine codes, I suppose calling you narcissistic is the most apt word, since you conveniently left out all the bugs/issues and glitches in Tera, despite many people having known about them, troubleshooted them, and even came up with a solution for it, only to be branded by you as "cheaters". What a way to thank them indeed! Yeah, it's called lag. It's an unfortunate side effect of playing games online and the unfortunate disadvantage of living where the servers are not. If I get caught by a fate on lachelith because I didn't end my bull rush with a move that sends a packet firmly planting myself on the safe ground instead of rubberbanding back in to the circle, I blame myself, because it's happened, I figured it out, and now I know better. You sure do like to use that n word for someone who both brought up 'relevancy' and wants to compare crotch cup sizes in experience. I don't lag on S bomb because I used to have issues years ago running the game, found out why, and when I purchased a new CPU as you probably should have definitely done in the span of this game, just based on how old your PC would be by now if you hadn't, and I kept in mind that both BDO and TERA were single core CPU bound with barely any spillover to a second core, and I purchased accordingly. Otherwise it woulda been zen all the way for me. All you see is high DPS and being able to ignore trap runs, and mechanics. You know what makes me feel like a good player? Knowing that even if a lot of the players I encounter in a random IMS run hit the dirt, that I'll be able to do the mechanics, and clutch as hard as I can. I got some old friends from Ama I can think back to and laugh at this point for helping me do pass runs back in VSHM, you know, the dungeon with two bosses that have been in the game a long time now. Having only lower geared players join the LFG for a couple badge passes looking for a skilled clear in exchange, it was hilarious to watch top tier players eat it on mechanics they just weren't used to seeing because they generally skipped the mechanics. Or is hitting a paw for 57 seconds so you can get a cut of 350k the way this game is meant to be played? You are really interesting because "it's called lag. It's an unfortunate side effect of playing games online and the unfortunate disadvantage of living where the servers are not." You do know there is a huge difference between ping tax, and FPS lag right? My own PC which does not lag a single bit on BF1 and Crysis 3 (Mind you over 144+ fps on BF1 with vsync), lags on Tera, so what is your logic here. I could see my FPS on Tera (In which I editted the config file to sync with my monitor) jump from over 200-300 fps to less than 10 fps during any run. That alone to you is "Well due to server location" yea, have fun believing that. If you absolutely want to know my spec, its an i7-6700k OC 4.5 GHz with a GTX 1080 SC on a ROG board. So logic? I am a junkie that frequently upgrades my PC parts, so take PC out of your argument, its irrelevant. You are not being relevant here. All of your arguments conveniently left out the issues which you clearly don't bother understanding, isn't that the very definition of a narcissist. I don't give a damn about your IMS runs and your subpar clutch that eats ping tax, you are clearly not playing the game the way its meant to be played, and that is what we are angry about, not being to play it. To you, we see only high DPS, to us, we compete in parses, and that is what makes it challenging in a whole new playing field. You may have different requirements as you aren't as competitive as us, but its our playing field, and so who are you to talk about things that involves the competitive scene when you are not even involved in it. If you think we facetank certain mechs and more, think again. A lot of the things we do in parse runs are deliberate, and we run several times over and over till we get a high parse due to good rng, similar to speedrunning. Some facetanking is done because we know we can facetank, due to gear and skills like TOB. HH raids are simply an example of the high tier players leaving, and we only did it because we could sell/get the brooch. That is merely a part of getting quick money. Stop trying to bring up useless points that are irrelevant to the DMCA issue at hand. You can brand proxy users as cheaters all you want, but know that all the "cheats" you known about, are all doable without proxy, and were done without proxy anyways. The first emporium fiasco was done with cheat engine fyi, and memeslash is completely doable without proxy. Where is your argument that proxy users are cheater when they just want to play with no ping tax. You said your frames skip on the first S bomb, I responded with I don't get that because my CPU is specifically chosen for the things that tera needs. Maybe you don't understand this, but the requirements of BF1 are not the requirements of TERA. I literally just told you what the biggest bottleneck for tera is and you wanna mouth off about your 1080 6700 is decent, you should set your affinity, and make sure you're running from an SSD because your skip could be a cache issue as well. I can't believe you forgot what you said and confused it with me saying fps vs ping lag lmfao. I wish you actually knew my history in this game but you don't so I'll forgive you for being as toxic as you are. I don't know yours either but frankly I don't mind or care too much either way. You chose to play a game you knew had issues and bugs for years and you knew third party add-ons were going to be a point of contention as they have been several times over the last two years. You can sit here and say that you want to be on top of the competitive scene all you'd like, but beyond SP requires a lot more modules and expenses to third party than you'd like to admit to do. I'm sure pubg cheaters love being at the top of the leaderboards too for being able to parse their kills via client side injections. Which part of RKEM trigger is the first S-Bomb, oh wait you are dumb enough not to read properly I forgot. You want to know how I knew it will lag then, simple, there is a memory leak hardcode in that particular dungeon that triggers due to the spaghetti coding that has to deal with the GPU sprite, sending it to your CPU instead, and on top of that, causing a single threaded bottleneck due to the sheer quantity of things to be rendered during the shield phase. The render code may trigger depending on the system's memory leak in future mechanics, which is why you see a huge frame drop when shield phases are triggered. And for the record, all my drives are SSDs so your point? And if you seriously want to fight with me in terms of hardware, this system was custom tuned by myself for gaming and Tera in particular with a separate system for recording and streaming, and the entire setup had a huge amount of work done specifically to optimise performance, so your point? PS the first time I ever heard someone tell me Tera lags due to CPU cache overhead, go back and study your computer science, its clear you are lacking in PC knowledge compared to me. I wish you actually knew my history in the game to know that you are not a big name guy as you think you are. For that, I forgive you for being ignorant and ill-informed a casual. I don't give a damn about toxicity or whatever big names you want to bring out, I only judge people by what they do. What we are upset about is the fact that we are no longer able to play the game as it was intended in the first place, and that you are merely inflaming the situation by typing your ill-thought, uninformed and ignorant comment over the issue. Not only did you not bother understanding how SP works, you have little knowledge about game development and implementation in general. Before you type a single comment, go and look up Client-Skill Prediction under wikipedia yea. Several big game titles used this implementation without any big issues, so your point about us not being able to implement it in Tera is completely farce, especially given that even the community devs have did it, only for you to brand them as "cheaters", continue kissing the backsides of these "propaganda" yea. Oh yes and btw, I'm sure the Fortnite cheaters are getting banned En Masse (Oops I used it), just goes to show the difference between game dev companies and the amount of care they have for their players. Also big BTW, seems like you don't even know what parse runs are. You should shut your mouth in that field if you don't know what you are talking about yea. All you do is take away from your own argument with toxicity and insults. You sure like to say something is technical, and then immediately use colloquial terms to explain it. I never had a lag spike on S Bomb at 95%, I never had a leak on lines at 30%, in fact I was fourth clear of that dungeon, and third of the next. I must be casual, right? I must be, because you said it, and everything you say is correct, and everyone else is wrong, of course. That's exactly why you think it's okay to load up on whatever module you feel 'conveniences' you and then go to town. I judge people by what they do, too, and throwing a fit by insulting others and putting them down because your third party program stopped working on a video game nobody forces you to play is pretty pathetic. Your fantasy of how you want to play this game is yours and a handful of players alone to deal with. I don't care how you think you have MAX GAINS and how your [filtered] little programs give you more MAX GAINS. You're not the judge of how a game 'should' be played, that's your own damn opinion. SP ain't that hard to understand. It's not hard to understand that Bern has bragged about how it's faster than any player living near the server either. What I don't think you understand is the massive gap you leave in between players when you greedily spread the usage of third party programs. The amount of players left discouraged after a lot of practice and still not reaching that level, just to be left with a choice of 'cheat' or lose. It's funny you bring up netcode implementation, because there are just so many, even for very similar games. It's funny how each game that has it determines its own limit of what is considered an 'even' match, and how it's a point of contention on a lot of games, including the 64 tick rate debacle always going on in CSGO and ESEA. Then you have players like you on TERA who are like '[filtered] balance we want to play the game the way it's MEANT to be played' even though it's never been played this way, on any region, ever, the way you are playing it. I don't know what parse runs are? Using Fortnite instead of PUBG? Oh man, do you live in your own fantasy world. Must be the only way you can debate your imbalanced logic. Clearly players don't understand what we're trying to do here even though it's literally no different than what they were doing before third party. It's not like this game has had several competitive systems in place to show scores in both PvP and PvE for years. Nah, it's just you who understands end game mechanics, and clearly you should be the top executive decider for all other players because you can hit the back of a chair faster than everyone else due to your cheating. Also lol @ I don't care who you know or who you are I'm better than you. Coming from the guy who dropped narcissist in the first paragraph. I'm sorry friend but normal skill prediction that most people use does not completely solve the issue of high ping. On na with sp and 120-150 ping I did less damage with a warrior than on eu with 20-30 ping, no sp, and worse gear. Sp helps a bit so you don't feel like you weigh 500 pounds but it doesn't do anything impossible. It doesn't solve iframes either, they still happen at native ping. And if the meter will work on EU then why not on NA? @DYLW5HFXJH It's funny how people say its meant to be played as the number 1 excuse. I get that in a perfect ideal world everyone has 1 ms and can do everything a korean can do but better. But man some of these scripts supposedly give you what would be 0 ping or even more ( 150$ Bernkastel scripts), far surpassing the 20-40ms of the nearest Chicago players. Their "perfect balance" gives them even less ping than the most possible lowest natural ping players, and their argument would be just use SP too for 0ms then. Maybe a small minority of Koreans gets like 5ms, but I'm pretty sure most have 15-20 as well. This elitist thinking is actually absurd, that you are ENTITLED to 0 MS, which gives 20,30,40,50 ms players a disadvantage? Resulting them to be the ones behind now. Then you have Bernkastel Scripts. All the fastest built in macros and chains you can get on a class and more. Some of these players will say that you can just normally macro it anyways, but really? 100% INSTANT block cancels and immediate lethal strike reset faster than humanly possible. The fact that you can also put off Bern Script users " Oh most of us don't like those players or We shun these players from the main discords" is also really [filtered] ignorant. You speak of proxy as a top tier % PvE player? Well news flash more than HALF of the top proxy users USE AND SHARE THESE SCRIPTS! Sure Caali discord can claim to Reject these groups, and we can also pretend to ignore that Bern ultimately communicates with other developers, but at the end of the day the result is the same. I can check the top PvE guilds in both servers before this drama started, and 30% of those players all have and share Bern scripts. A good chunk of Moongourd(that you guys bring in) Top 15 zerkers use these Scripts or have ownership of them. Also to the players using ShinraUpload rates to claim Population Drops. No [filtered] Shinra Dev stopped support NA, therefore there will be a severe drop of uploads almost to 0. To the players who have natural 150+ MS and uses Proxy. I get it. You need Proxy to compete when Ping tax gets too much. But this mentality has changed everything. If you have 50ms its not 0, so you want to inject + mods. If you have 30ms its still not the same. It's pathetic when people cry about the SMALLEST of Ping Tax skills. Yes RF is a bit slower if you have 60ms, yes some skills are 0.5 seconds slower on cast after 100ms, but at the end of the day, this mentality resulted in just wanting more. The smallest of problems became so much more when you want instant perfection on everything. That's why Proxy itself has been a good idea and prob with good intentions, but it was determined to "fail" because of human nature and greed. You're not the judge of how a game 'should' be played, that's your own damn opinion. it's no opinion that the game should be played with low ping or simulation of. it was designed to be played that way. i highly doubt 5 players at 200ms could clear aah unless maybe overgeared zerk. even then i still have my doubts. even if i get a tiny bit "advantage" (i really don't see any advantage to myself. i still have to dodge early. and double casting grim by mistake is a dps loss, since the 2nd cast is a complete ghost. also shadow lash only casts 3 times rather than 4, with or without sp) this is far better than suffering with skills at 240ms. how is this hurting anyone?. (pve wise). I'm surprised this hasn't unpinned yet. Most ppl here are all casuals or low ping NA players that never ever used SP, no wonder they are so against third party apps. They don't know what GHOSTING is lol, they rly think that a magical third party program will bend the laws of physics and make a 200 ms player better than a 30 ms NA player hahaha! 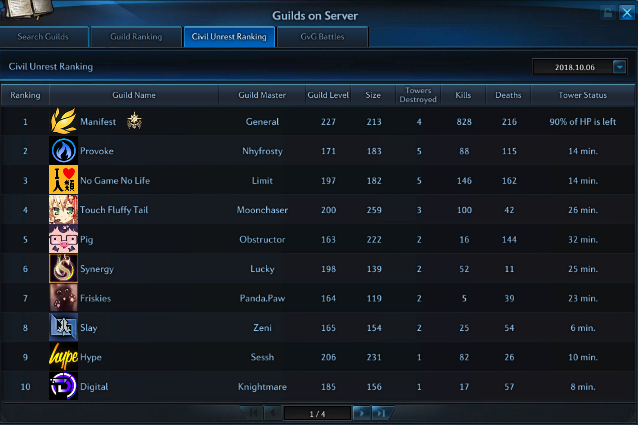 I played on EU while being in NA with 100MS and the difference is worlds apart from the 37MS I get in TERA NA. If you play at anything over 50MS. SP is needed for the game to work as intended. If you have a Naturally low ping. Just go try to play on KR/EU/JP while being in NA and feel the difference in timings. Then come tell me client side prediction is not needed in the game. waited so long for this, which is utterly disappointing, whats the point of pressuring bhs to implement an ingame dps meter, different ui elements, if you have no one playing or a very low player base due to the elephant in the room, which is the biggest issue, latency and how it affects classes and gameplay. Anyway EME, plz don't forget about one of the most (if not the most) important things: In game skill predictor. I don't care how you or BHS do it or even if you guys allow some limited "officially approved" third party tool.. If you can't fix it for PVP, just cap that skill predictor for PVE only content (just disable for BGs or CU). The fact is: Tera's endgame is basically unplayable for foreign players without a built in skill predictor. The only short-term solution until your own proposed platform is ready is to allow the use of whitelisted third-party modifications (mainly allowing skill prediction in PvE situations only, and an external DPS meter) and to protect those developers from any legal action for the time needed and/or help provide them with information needed to maintain their tools. Having some communication to those developers and being completely transparent with the community is your only way to saving the community and the game from the direction it is going in right now. And with the next big patch coming in a few days, it's vital to make those decisions quickly to rebuild the road for the next few weeks to come. Okay, so, with the new announcement, it seemed more like when a highschooler has to reach a certain word cap for the essay to be accepted. All of what you said you're discussing is great and all, but you need to come up with short-term solutions. This would be talking to BHS about terminating your xigncode contract, as all it does is lag the game and doesn't prevent any of the cheating you tried to prevent. Get better servers. There is zero reason why I live 5 hours from the servers and yet I can connect better to EU than NA. None whatsoever. TLDR: we'll forward our feedback to bluehole. This time, URGENTLY. Secondly, we're working on a long term solution that probably won't arrive before tera is already fully dead, even if it manages to get approved. A whole lot of nothing. I think you guys misunderstand the [filtered] you're in.